Here’s an exciting find from Walkerville, up above Butte. With the “66 Years of Public Service”, it puts the date of painting around 1935. There are a few layers of different ghost signs visible one on top of another, but it’s hard to say what the other layers are. 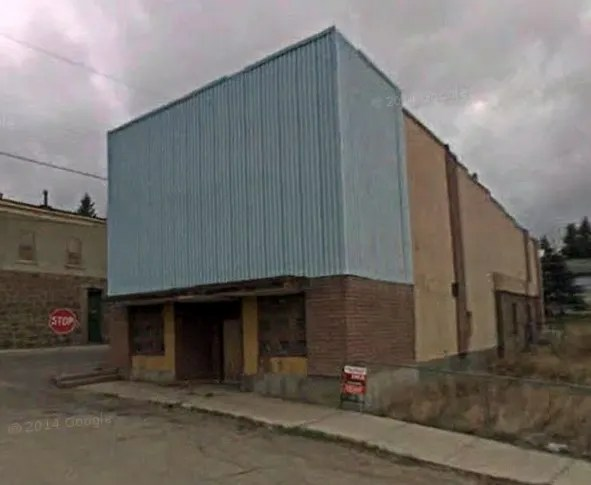 At some point, likely in the ’60s or ’70s the building was nearly completely remodeled, with a metal facade and stucco and brick sides, studded out from the original brick structure. The parapet is crumbling, and likely contributed to the renovations. It appears the building was for sale several years back, and presumably was sold, as the renovations have been largely stripped off, exposing the historic building inside. It looks like this one’s been out of business for a while, but with the glass brick windows and heavy door, this was formerly a bar. Before then, it was the Walkerville Mercantile Company, with a partially exposed ghost sign on the opposite side of the building identifying it as such. It’s a solid brick building and originally had arched windows and an arched doorway on the ground floor. There is a faint ghost sign at the top that reads “Family Liquors”. This is located at the corner of North Main St. and West Daly. I love Google Maps’s new time-machine feature. 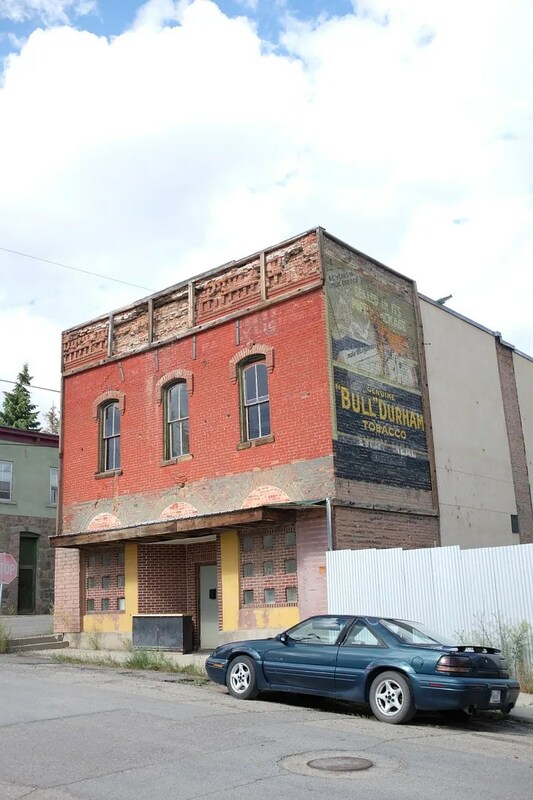 Here’s a shot from 2012 of the same building showing some particularly ugly remodeling. It did, however, protect the ghost signs, which otherwise would likely have faded considerably more by now. 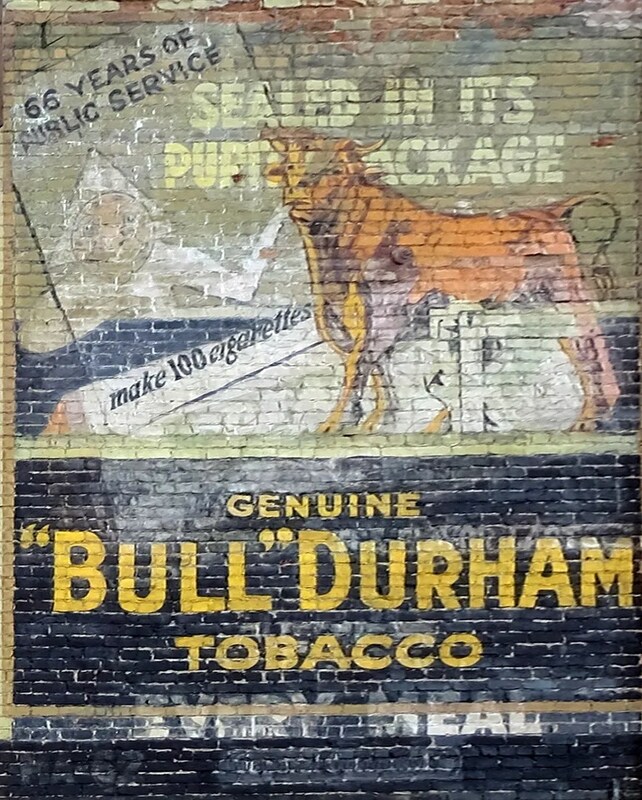 The other side, with the Walkerville Mercantile and another Bull Durham Tobacco sign, were also studded out and stuccoed/bricked over. That covering has been partially removed. Very cool, I am heading into Montana soon, hope to see some of your finds. What part are you visiting? I might have some tips for you.